HOW: Becoming a lice removal specialist doesn’t sound like many people’s dream career, and for Barbara Gips, it wasn’t. A decorative painter and mother of three, Gips’ children went through a collective nine cases of head lice, and practice made perfect. “I was unknowingly being trained for my business many years before I started it,” says Gips. Each case meant another opportunity to perfect her lice treatment skills, to the point that her sister-in-law (who had to hire a treatment specialist to come to her home in Maryland) suggested she make it her career. The idea grew on her, and after a few days, Gips started taking steps towards launching The Lice Patrol. Both mentally and physically tired of her painting job, she knew this was the right time to pursue a change – knowing that if it didn’t work, she had her painting business to fall back on. “I knew I had to learn more about the subject,” says Gips. “I didn’t want to only treat my clients, but to educate them about lice and nits so they could understand how my method works and how to avoid re-infestation.” So, using $500 of her savings, Gips started ordering the supplies she knew she needed, including the equipment and all-natural products that she knew worked for her family. Targeting schools and organizations, where lice is bound to spread, Gips developed an educational presentation about head lice to help promote her services. “[The presentation] dispels the myths and teaches parents how detect, prevent and treat head lice,” says Gips. 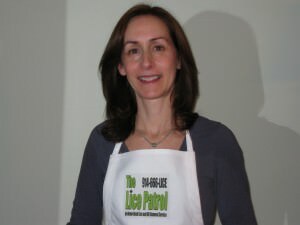 In 2009, their first full year in business, The Lice Patrol generated $25,000 – and is on track to double that in 2010. Appointments can be made hourly, and cost $125 for the first hour, and $100 each hour after that. Since she gets paid at each appointment, her business model allows her to quickly put money back into the business as needed. This year, she hopes to add a new removal specialist to the company, and is planning to re-launch her website.